The Candlelight Bar is a modern 1920’s speak easy style late piano bar with music on Friday and Saturday, with a centre piece of a baby grand piano, plays host to some fantastic musicians and goes til late. Candlelight Bar initially launched in Siam Thai restaurant in Dundrum and expanded to the north side of the city to leafy Malahide, with Darren creating that same awe inspiring destination bar there also. Its potent mix of creativity, theatre and use of precise techniques, fresh fruit and juices, home-made liqueurs, syrups, bitters and infusions makes this a destination! It boasts a fantastic unique cocktail selection which has been commissioned especially by award winning mixologist and Bar manager Darren Geraghty. Candlelight has been crowned as the Best Cocktail Bar in Leinster at the Irish Craft Cocktail Awards 2016 and Best Cocktail Experience in the RAI Awards for 2017. 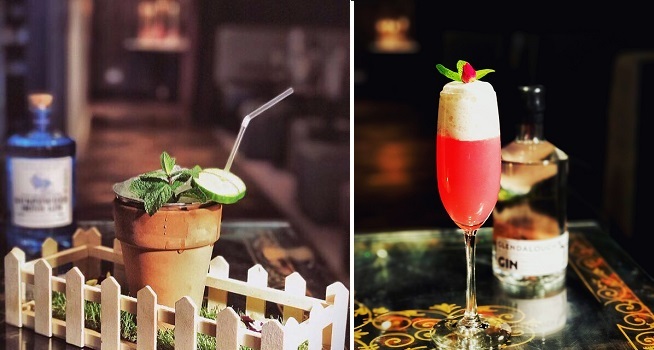 TheTaste and Candlelight Bar are giving readers the chance to savour 4 delicious cocktails for only €35. – Offer does not include champagne cocktails, punches or sharing drinks.